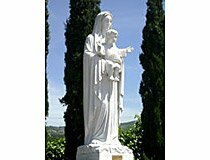 Other Services - Superior Monument Co.
Superior Monument Co. offers many services and products for personal, corporate and community purposes. 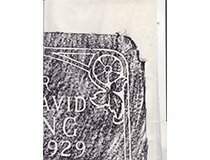 Whether you are looking for a vase for your monument or a statue for a cemetery, a sign for your building or grave marker for your pet, we can help. Below are many of the services and products offered. Please give our knowledgeable staff a call at (800) 479-6483 for more information. 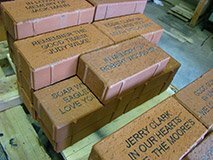 Clay fired bricks engraved with sandblasting or laser etching. 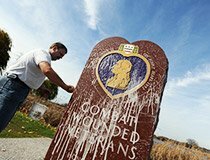 Popular for fundraising. 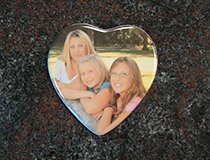 Made with the most current technology, portraits are available in many shapes and sizes. 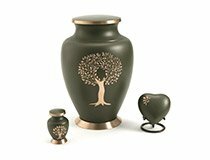 Urns for display or for burial. Several different sizes, colors and materials are offered. We can match any design, size and shape along with most any color. 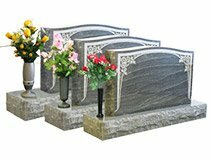 Square Tapered Granite Urns that will last. For potted flowers. 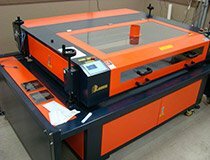 Superior quality laser etchings done at our facility. 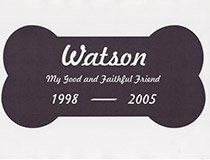 Beautiful images engraved on black granite. 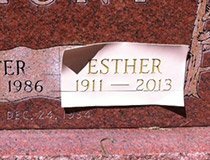 Final dates, additional names or epitaphs. Done on site or in our shop. 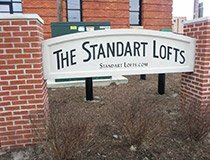 Sandblasting for Granite and Limestone signage. 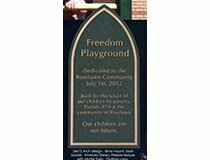 Custom or Standard for use in memorials or for public display. 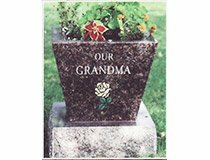 For fresh flowers at the gravesite, we are proud to offer fully guaranteed MetalCraft vases, matching granite vases or inground vases.